-==|MYT|==- Online Gaming Community - View topic - How to join MYT servers. How to join MYT servers. After xfire shutdown some of you may wonder how to join our servers. Let me just copy solutions made by BadTimE. You can use our Server Status page or Stats Tracker to watch for some available slot. Last edited by |MYT|Serge on 03 Mar 2019, 17:29, edited 3 times in total. Re: How to join MYT servers. We invite you to create a shortcut on our desktop or anywhere else to join automatically MYT Team Server 1 and another shortcut to join MYT Team Server 2. For that, you just have to add the follow params in the "target" of your shortcut. Right click on the shortcut > "Properties" > "Shortcut" > "Target"
You can do it for COOP Server as well. Last edited by |MYT|Serge on 03 Mar 2019, 17:29, edited 1 time in total. 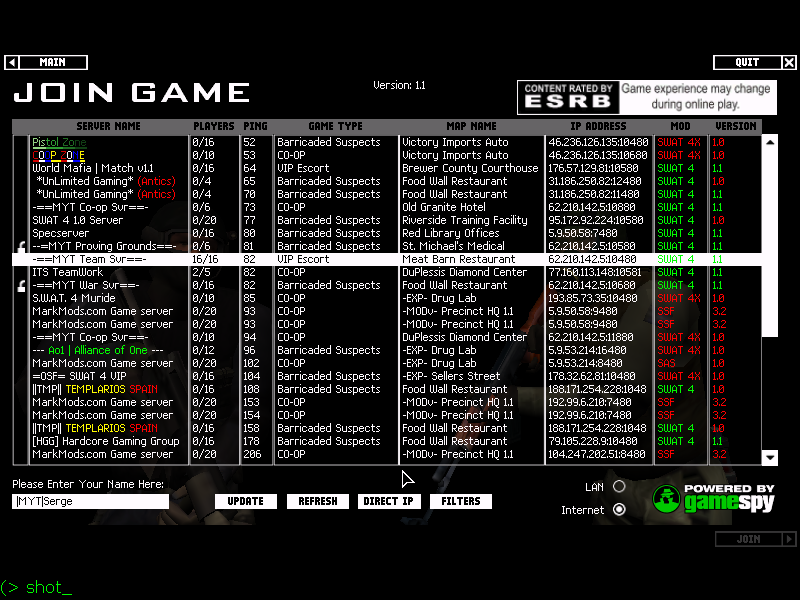 We found a program which has a server list just like xfire and I would like to share it with MYT m8s, it's called GSC. 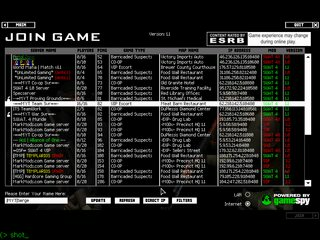 this program is connected to Gametracker(GT) server list. Last edited by |MYT|Serge on 02 Jun 2017, 23:35, edited 1 time in total. The new server is €13 cheaper and is located in the heart of Europe (Nürnberg, Germany), so pings should be fairly distributed between players from all across the Europe now. It has slightly worse specs in terms of CPU (i7-4770 compared to Xeon E3-1245 v5 on the old server). The other specs (RAM, total HDD space, network bandwidth) are same or better.